William Huggins was born in the wild red rock beauty of southeastern Utah. 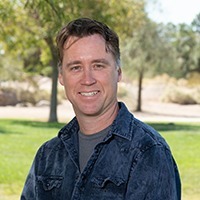 He now lives, writes, works, and explores the desert southwest with his wife, daughter, and three rescue dogs. His father’s work for the United States Air Force caused the family to move a lot, usually to remote areas, and from an early age he learned to love to explore wild places. A compulsive reader from an early age, he studied English at the University of South Dakota, Vermillion and later garnered a Masters in Arts in Literature, with an emphasis on environmental and indigenous literatures, from the University of Nevada, Las Vegas. Ecological issues suffuse his short science fiction, which can be found in Third Flatiron Anthologies, Another Realm, Expanded Horizons, and Universe VII: Visions, from Lillicat Publishers, among other places. His critical essays have appeared in various media, including Studies in American Indian Literature, Southwestern American Literature, Texas Books in Review, The Canadian Review of Comparative Literature, The Journal for Critical Animal Studies, and Critical Insights: Louise Erdrich. He has several essays coming out in books in the near future. He also blogs for several websites on various green issues, most often We Are Wildness but also environmental organizations. 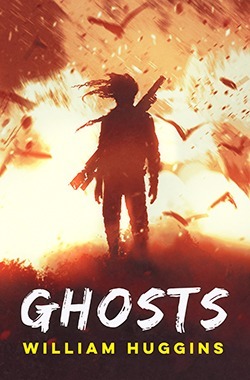 Ghosts (forthcoming autumn 2019 from Owl House Books)will be the first of what he hopes to be many books.